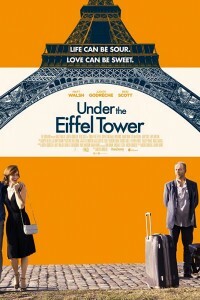 In the movie Under The Eiffel Tower, Stuart is a having a mid-life crisis. Desperate for something more in life, he tags along on his best friend’s family vacation to Paris – then proposes to his friend’s 24-year-old daughter, Rosalind, while standing under the Eiffel Tower. In the movie Late Night, a late-night talk show host suspects that she may soon be losing her long-running show. .